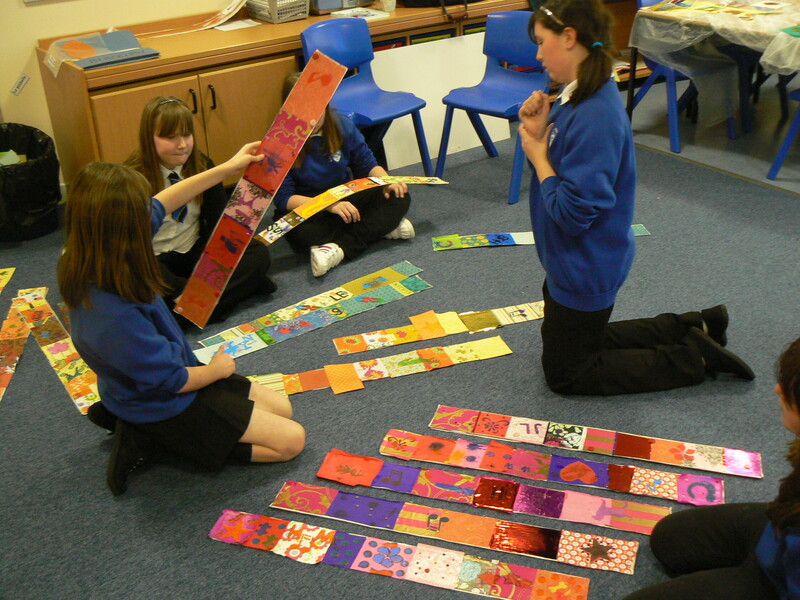 I first met students from Blacklaw primary at the arts marketplace event in South Lanarkshire. The event was organised by the wonderful cultural coordinator team in that area. It was a chance for creative practitioners working in education and healthcare to showcase their work and network. I was approached by the students who were looking to commission an artist to work with them on their very special project. 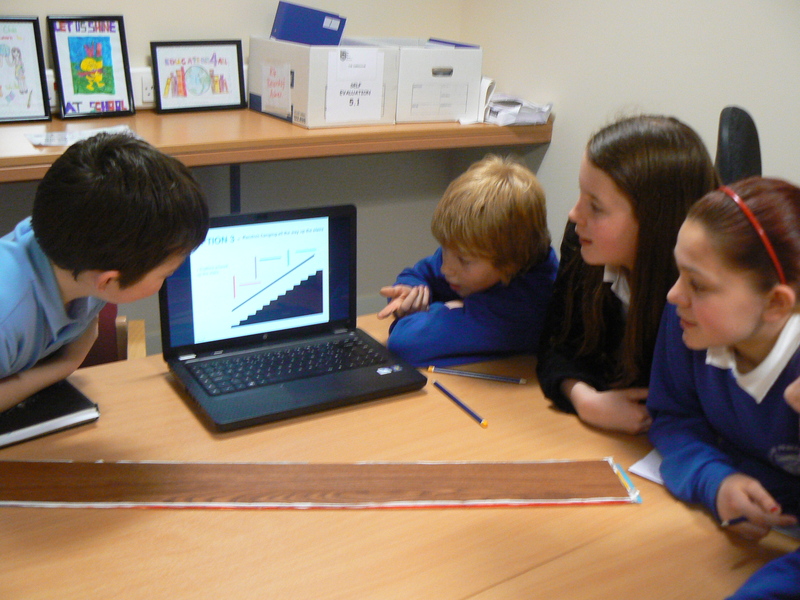 I was delighted when I received an email a few weeks later, the class wanted to meet with me to discuss their project. 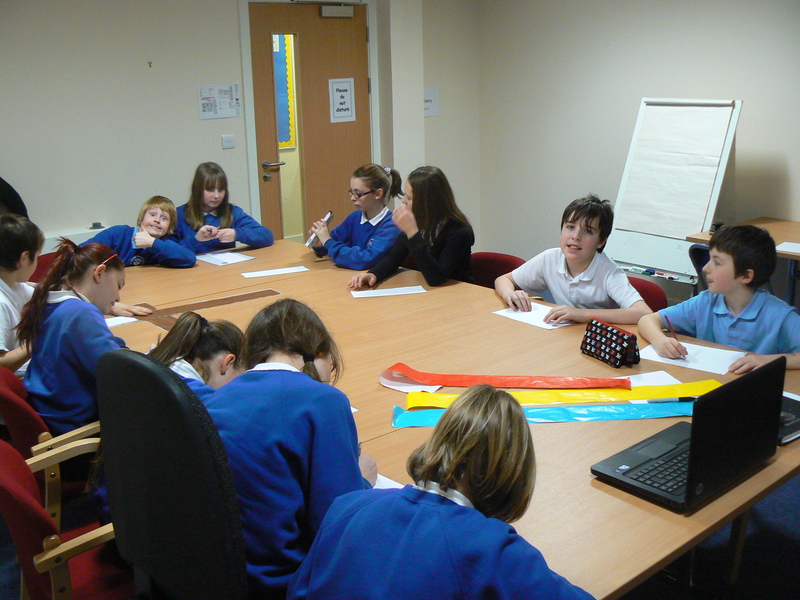 I met with the pupil council and together we worked out what we wanted to achieve in the project. 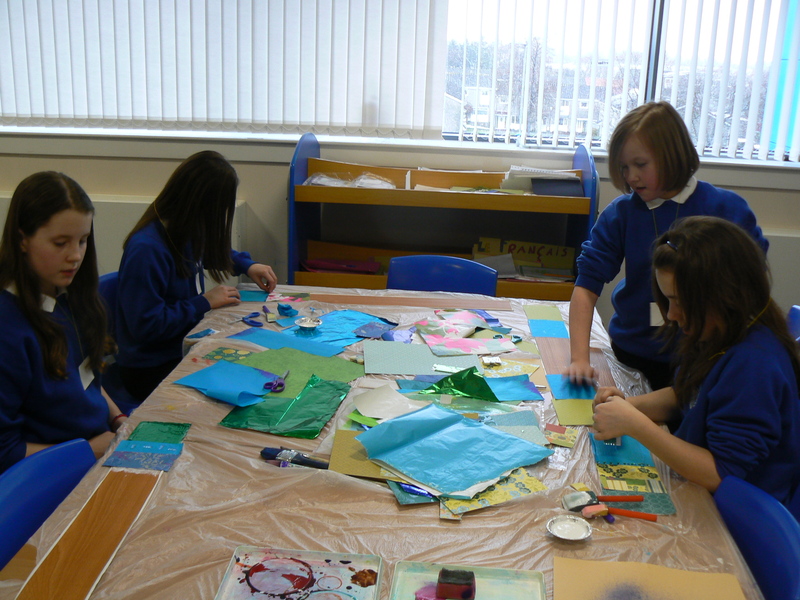 The priorities were the pupils wanted to make a big impact, create something very colourful that had an urban arts/grafitti feel. We identified a very empty and bland stair well space which would become the site for our site specific work. With the information I had collected I went away to work up some ideas to pitch to the group on our next meeting. 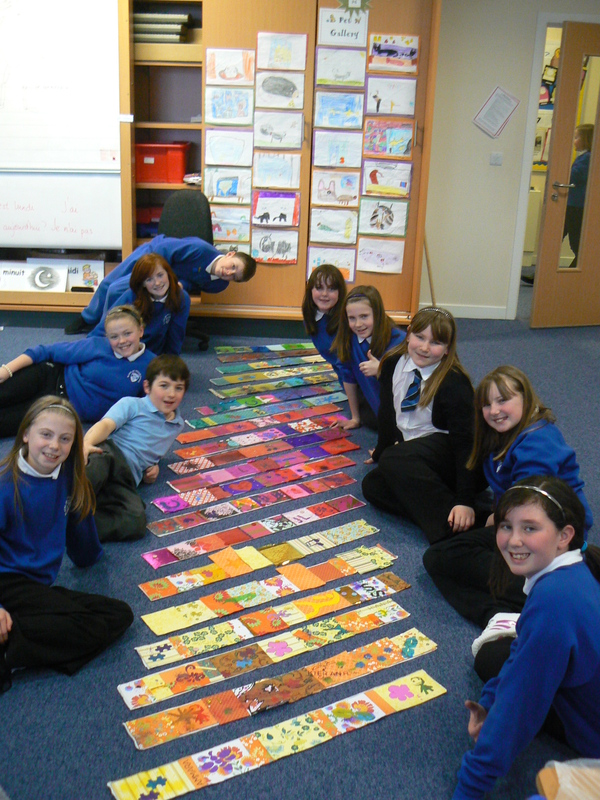 Primary seven at Blacklaw primary know what the like and equally what they really dont like too! This was a child led project at its best. We decided on a design for the final artwork and we were finally ready to go into production! 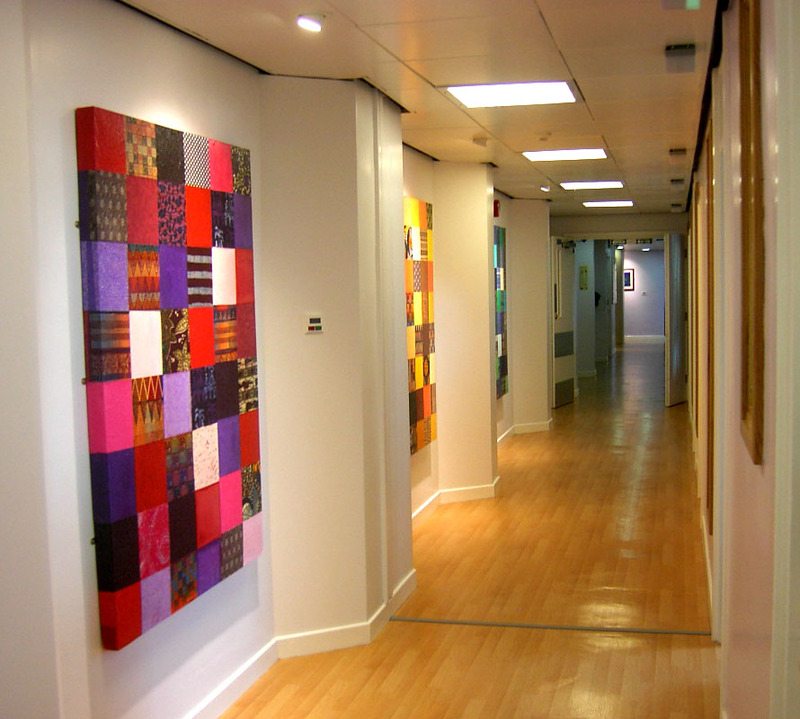 We wanted to create colour blocks within the artwork like I had done in Sheffield Northern General and the students also liked the vertical wooden panels and the grafitti feel of the work I had done with students at OSH secondary school. See below. I worked with the students in groups, each student had a chance to create a piece of work to contribute to the finished installation. 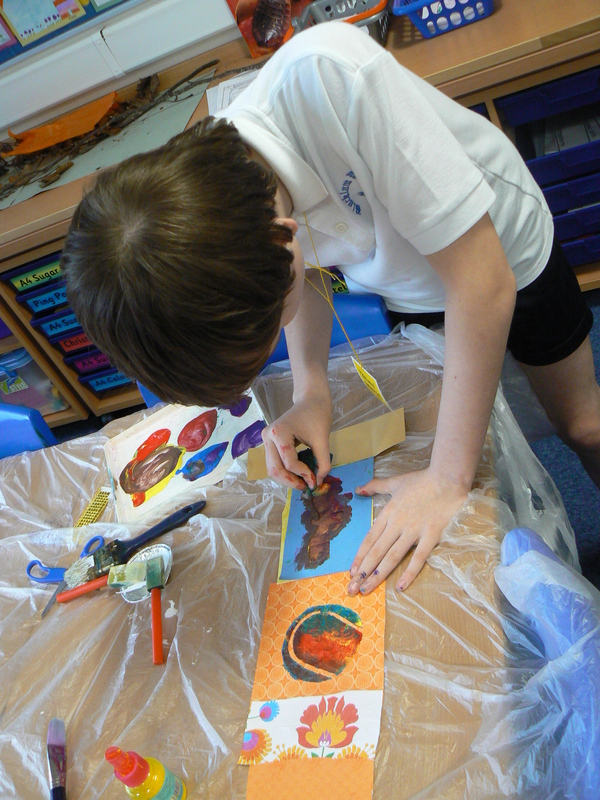 The children were in colour teams to ensure we could create the colour block effect we wanted at the end. 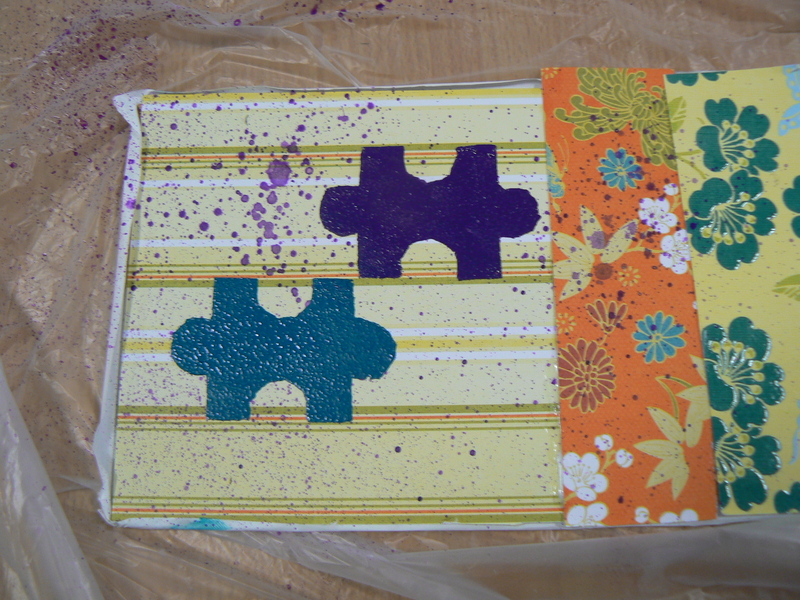 The students used collage and stencil work to make their piece of work represent them and their interests. 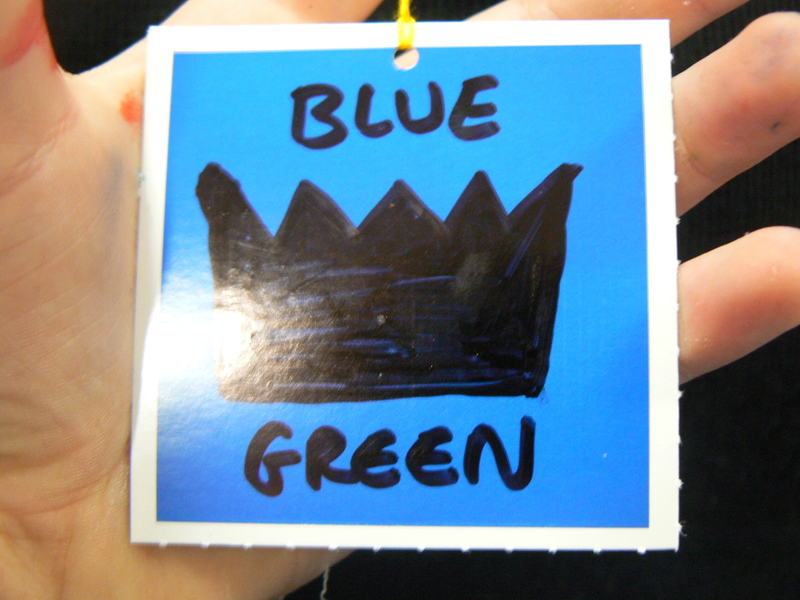 To get the grafitti feel to the work we put ink into spray bottles to make indoor spray paints. We played around with the layout for the artworks. The students liked how they looked when arranged close together at an angle. I have since trimmed, varnished and hung all of the artworks in the school. 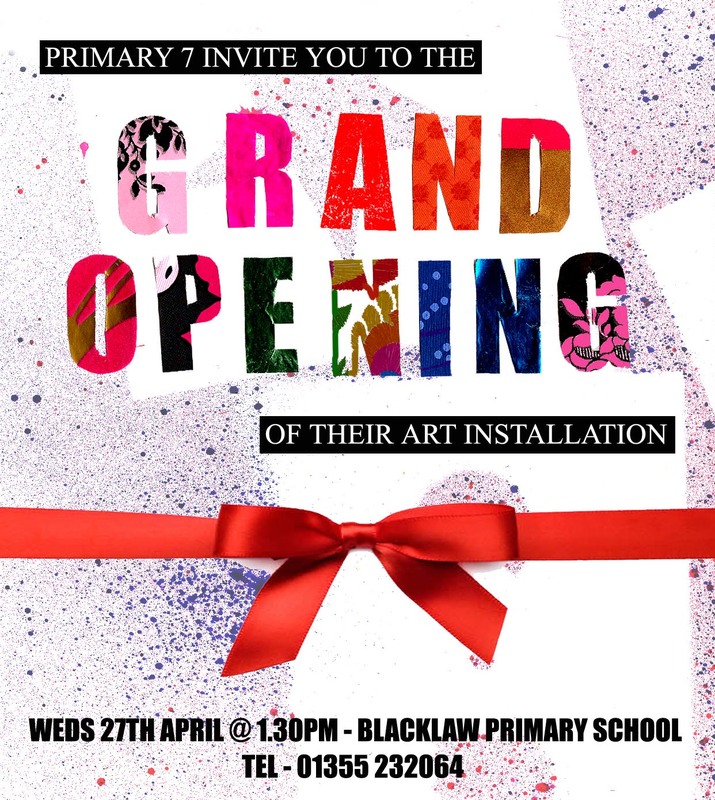 We are all looking forward to the offical opening of our artwork and the students have designed this invitation. Had a great with the children at St Marys primary school. Using the printed textiles we had made in the last session, we created sails for the boats the children had made last session with Ian. There was a diverse range of pirate ships, sailing and fishing boats by th eend of the day. 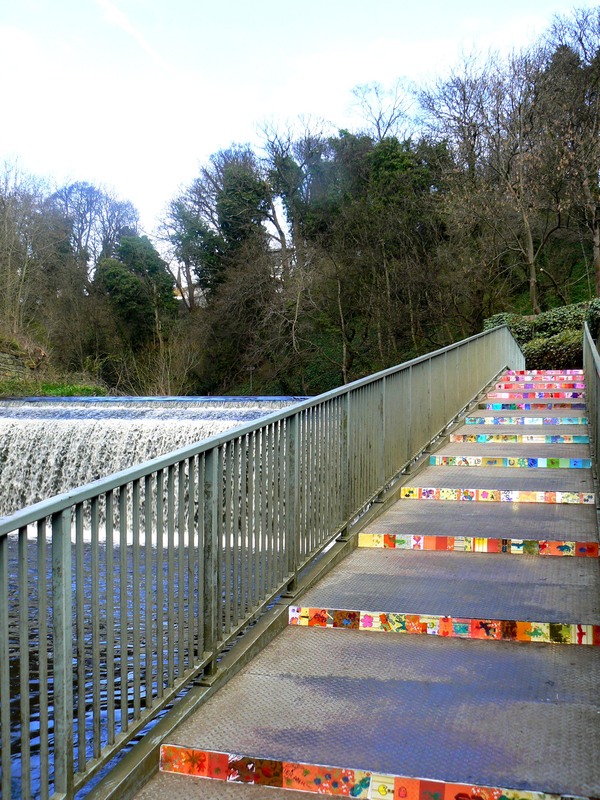 The children got a chance to use all the skills they have been developing throughout the project, knot tying, creative thinking…..
A series of colourful temporary installations for you to find on your walk along the river. Dean Village, Water of Leith – Edinburgh.